Will David Hooks Grand Jury Give Him Justice? A Grand Jury in rural Laurens County, Georgia is meeting to decide whether charges or further investigation is warranted in the cold-blooded murder of an innocent grandfather in his own home late at night by an overzealous drug unit from the local Sheriff’s department. Considering the fact he was innocent and gunned down late at night in his own home in a botched drug raid in an illegal no-knock warrant I don’t think any other word than murder is really accurate. In my opinion this was a felony murder. The reason this is such a great test case for national police reform on no-knock warrants are the circumstances of this raid. The Washington Post gave a much more detailed accounting of the events. The Atlanta Journal also recently covered this story and a rally seeking Justice for David Hooks a few days ago. 1) David Hooks was shot and killed by the Lauren’s county Sheriff’s department in his home. 2) David Hooks was innocent because no drugs were found after an exhaustive two day search of around 44 hours while the house was torn apart and basically destroyed. 3) The warrant they secured was based off of the tip of a meth head named Rodney Garrett that had just robbed David Hook’s home the very same day and had stolen nearly all his guns along with an SUV. He had been apprehended earlier in the day and told authorities that the 20 grams of meth he possessed came from Hooks’ SUV — the same vehicle he had stolen from them. The police took the word of this thief that robbed David Hooks to secure the warrant that ultimately killed David Hooks. 4) They didn’t have a no-knock warrant yet executed a military style no-knock assault and home invasion by battering his back door entrance late at night while David Hooks was asleep only moments before he was killed. This was an innocent American government contractor with a government security clearance in rural Georgia not Osama Bin Laden at a terrorist compound in Pakistan. 5) His wife and David Hooks automatically assumed the robbers were back. Who in their right mind wouldn’t when hooded men invade your home at night? Their house had been robbed earlier that very same day. David Hooks grabbed a shotgun in a very groggy state after being sound asleep seconds earlier and was gunned down as the police broke into the rear of the house guns blazing with his last thoughts that he was trying to save the life of his wife from robbers or rapists. Perhaps right before they fired that last final shot into his head while he was on the floor already mortally wounded from three other hits did he finally realize it was actually the police. The very people sworn to serve and protect David Hooks had instead executed David Hooks based on the word of a man that had just robbed him. 6) No surveillance was done on the house or David Hooks after they received this bogus tip from the meth head that had just robbed David Hooks the same day. 7) No one at the Laurens County Sheriff’s department had the common sense to simply speak with David Hooks in daylight as he went to get the morning paper or was on his way to work where there would have been practically no risk of a fatal encounter. Or to simply knock on the front door while in uniform with sirens and police lights on so David Hooks would know they weren’t the robbers returning. How stupid do you have to be not to realize that a meth head that just robbed this man’s home was probably lying about where he found the meth before you bust in the door of the victim’s home? How collectively incompetent is the entire department and the magistrate judge that issued the warrant since not one single person involved raised any objections to this preposterous raid? This is a laundry list of comical errors that aren’t so funny since it resulted in taking the life of an innocent man. But it is clear you have a poorly trained and not very bright group of macho thugs with lots of shiny toys anxious to use them and don’t give a second thought to proper policing techniques, the law, or even common sense. The attorney for the family believe deputies fired 16 to 18 shots from multiple guns and assault rifles. The last two fatal shots that killed David Hooks occurred when he was already on the floor injured from two other shots and his unloaded shotgun had fallen out of his hands well away from his body. One shot hit him in his back shoulder and the other to the side of his head while he was laying on the floor bleeding. His wife who was in shock, sat handcuffed for two hours while her dying husband lay on a stretcher in front of her. After a two day fruitless search where the entire house was ransacked, no drugs were found because none were ever in the house to begin with! In another epic blunder by police, a Georgia Grand Jury in Habersham County unbelievably failed to press any criminal charges in the famous Baby Bou Bou case. “Baby Bou Bou” Phonesavanh was hospitalized in May of 2014 after a flash grenade landed in the playpen he was sleeping in. Members of the Mountain NCIS Team in Habersham County were were looking for a suspected drug dealer at the time. Like the David Hooks case this was a poorly trained Drug Unit that has now been disbanded. The infant will be scarred for life from that flash grenade and the police responsible got away scot free simply because they seemed remorseful in front of the Grand Jury. Tears don’t equal justice. Will the Grand Jury in Laurens County do a better job? I am sure the Drug Unit in Laurens County have their tears ready and loaded for the Grand Jury. They also had their bullets loaded the night they murdered an innocent grandfather in cold blood in his home while trying to protect his family from what he was sure was home invaders returning. Earlier this year, Dublin Circuit District Attorney Craig Fraser told the state attorney general’s office by letter that he can’t handle the case due to a conflict of interest. This is the same District Attorney that wrote an introduction to a book praising Adolf Hitler. Only time will tell. The grand jury members will make a recommendation to the special prosecutor Charles “Chuck” Spahos and the full grand jury as to what action should be taken in this case. He says this could mean the jurors decide deputies should be indicted or they could say no action is required. “Chuck” Spahos is the executive director of the Prosecuting Attorneys’ Council of Georgia who became famous for opposing HB-1 the medical marijuana bill in Georgia and has also spoken in favor of civil asset forfeiture laws in the past. Spahos worked in law enforcement from 1991-1995, served as Chief Investigator and then as Assistant District Attorney in the Flint Judicial Circuit from 1995 to 1999, and served as Solicitor of Municipal Court of McDonough from 1999 to 2002. People I have spoken to told me Chuck Spahos has a reputation of being a “good friend of law enforcement”. They are cautiously optimistic but also worried his close connections to law enforcement will influence his presentation to the Grand Jury. As we all know a prosecutor can greatly influence the decisions of Grand Jury based on how and what they choose to present to a Grand Jury. Grand Juries also rarely exercise their full investigative powers under the law and many believe they are completely broken. They have an incredible amount of power to subpoena witnesses and evidence but usually allow the prosecutor to guide them and tend to be passive as opposed to active. Grand Juries more often than not follow the lead of the prosecutor. If they think a prosecutor is pushing for charges they tend to grant that wish. The opposite is also true even in cases where it is clear police officers were clearly in the wrong and fail to press charges based on how the prosecutor presents the case to them. Thousands of people took to the streets in New York to protest a grand jury’s decision not to indict a white police officer in the chokehold death of an unarmed black man, Eric Garner, in July as he gasped: “I can’t breathe!” Officers who shot and killed John Crawford III at a Beavercreek Walmart and Tamir Rice at a Cleveland park are unbelievably not facing charges either. Is it any wonder why Americans think the system is completely broken when so many innocent people can be killed by police and rarely are charges ever brought against any police in these killings? The jubilation over charges brought in Baltimore over the murder of Freddy Gray were raucous and jubilant largely because this was so very rare and unexpected after so many other disappointments. The eyes of the nation are on Dublin, GA and Chuck Spahos. Let’s hope this Grand Jury gets it right. To date Sheriff Bill Harrell who led this assault along with the “Drug Czar” Chris Brewer has not issued an apology or expressed any remorse for this horrific act. In fact, he seems to have hindered the investigation by cutting short an interview with Rodney Garret by an investigator hired by the Hooks family. Georgia, P.I. Christopher Frost had only been talking to Garrett for six minutes when a deputy removed Garrett from the room, cutting the conversation short. “They rolled out the red carpet for me and then they yanked it away,” Frost said. “It was weird. When they pulled him away, I assumed they just did not want him talking to me.” The day after Garrett briefly spoke to Frost, he was quietly transferred to the Emanuel County jail, about 50 miles away. I am usually an optimistic sort of guy, but I will be pleasantly shocked if justice is served for the Hooks family in this case. Laurens County is about as conservative a county as you can find. This is a sign you might see while driving through Dublin. 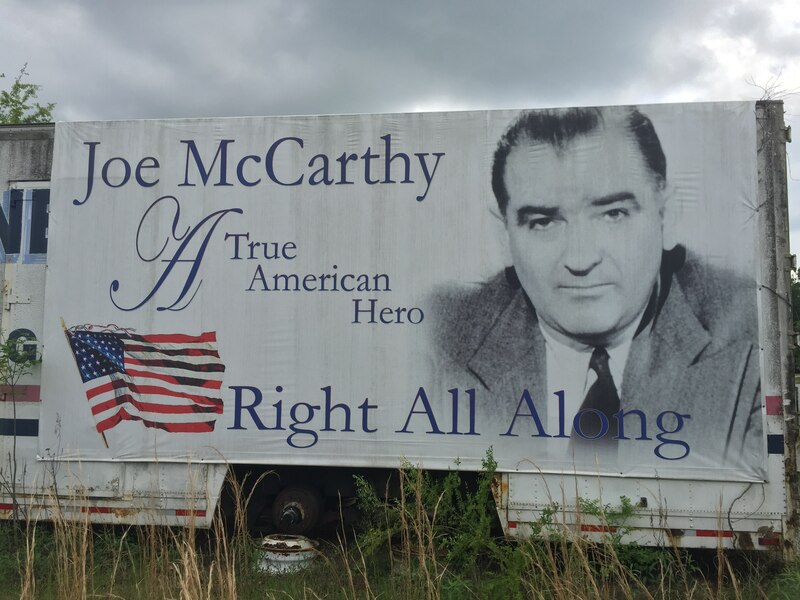 People that view Joe McCarthy as a hero don’t seem to be the type that would normally upset the apple cart. Many have also expressed a fear of repercussions from the Laurens County Sherriff’s department. For those reasons I am skeptical that justice will be served but certainly very hopeful. The prosecutor in Baltimore that brought charges was viewed as a national hero by many. Will Chuck Spahos become the next unlikely hero to restore faith that citizens can still find justice in America when citizens are killed by police? or will he follow the ranks of so many other prosecutors that have dropped the ball? 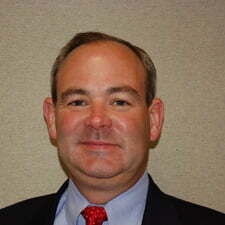 The jury is still is deciding but a Grand Jury in Dublin, GA has an awesome responsibility. Let’s hope for all our sakes they get it right just like a brave prosecutor did in Baltimore. Let it got to trial and let a jury decide based on the evidence. David Hooks at the very least deserves these killers to face a trial. Otherwise you could just as easily be the next innocent casualty in the drug war. Chuck Spahos ultimately will decide whether to convene another grand jury to consider whether criminal charges should be sought. We hope he does the right thing by moving forward with criminal charges. To do anything else would be a travesty of justice and we have had far too many of those lately. like I said. read the grand jury findings……………. told you. If you think that pathetic charade of a Grand Jury got the whole truth you are delusional. More holes than swiss cheese. A 9th grader could have done a better job of presenting facts than Spahos. And the Grand Jury themselves never bothered to ask why the Sheriff and deputies wouldn’t take a drug test, why they wouldn’t testify. They weren’t told Hooks was on prescription medicine and given more at the ER that would test positive for meth. They never asked if he was on meth why none was found at the scene nor was any paraphernalia. As far as the Hooks hair on the scale, I am sure there was lots of Hooks DNA all over the gun and his SUV that was stolen. Even if David Hooks was guilty of a crime he had, under the constitution, the right to a trial. No man shall be deprived of Life, liberty, or property without due process. And how does one square a 44 hour search with a warrant describing specifically with items searched for and areas searched? Did the warrant say “We want to search specifically everywhere”? A man was killed in his own home! HELLO! This was a tragic travesty. Period. kb Disturbed in Arkansas. No automatic weapon’s, no mask, meth in his system, his DNA in bag of meth which led them there. It was not a no knock. They breached the door after he was seen and wouldn’t answer door. I heard the real evidence Thursday. Nothing like all the conspiracy theories iv been hearing. Please explain to me how they got a DNA test in a few hours from a bag of meth. Even the fictional CSI on TV would be envious of that lab. Justice For David Hooks! !!!!!!!!! There is more to this story that could bring down the inner workings of the county and good ole boy system.. keep digging.